Prototype: Three type Zags and Zagkks four-axle pressurized gas tank cars with and without heat shields. 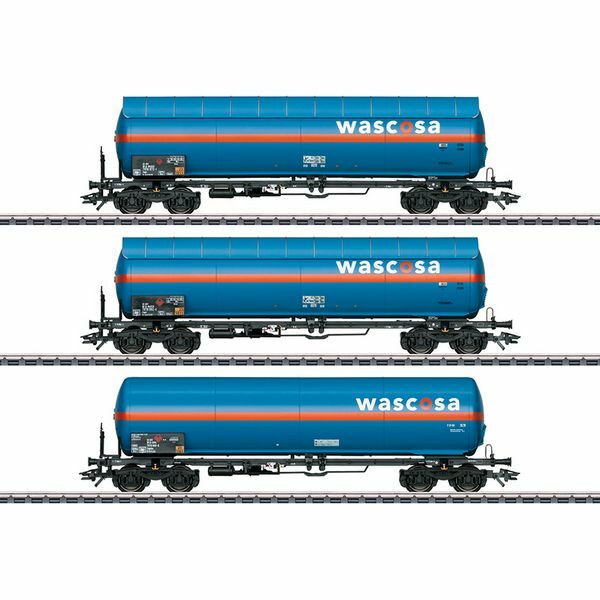 Privately owned cars for the Swiss Transportation firm Wascosa, Inc. The cars look as they did in 2016. Model: All of the cars have detailed frames. The trucks are welded type Y 25. The tanks come with and without heat shields. All of the cars have different car numbers and are individually packaged. Total length over the buffers about 54 cm / 21-1/4". DC wheel set E700580.